With the month of May comes many changes to the Valley of the Sun. The desert continues its floral display turning an area from what appears to be drab (to some) into a multi-colored feast for the eyes. May also brings a distinct change to SunBird. 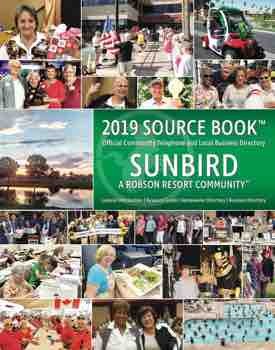 What just a few weeks ago was a bustling resort filled with residents and visitors taking advantage of all we have to offer, it now begins to slow down as the snowbirds leave and temperatures begin to rise. For those who stay, most of these activities are still available, and our Art Club is one of those. On Thursday mornings in the Hopi Room, you can still find members enjoying this quieter time working on projects, and we invite anyone to come join in during these sessions. This winter, our club had the opportunity to learn from classes and took excursions viewing artwork of artists throughout the valley. We welcomed new members and enjoyed sharing our works at our show and sale in the ballroom and, most importantly, enjoyed working with each other. We are excited for what the new season will bring but, until then, we wish everyone a wonderful summer and look forward to reuniting in the fall. Stay safe and well and keep on painting!